Days before London Fashion Week each season I always get asked what brands to look out for the obvious reason, this season Ralph & Russo was one to watch as designers Tamara Ralph & Michael Russo as they debut their Prêt-à-Porter collection for Spring 2018 in London. 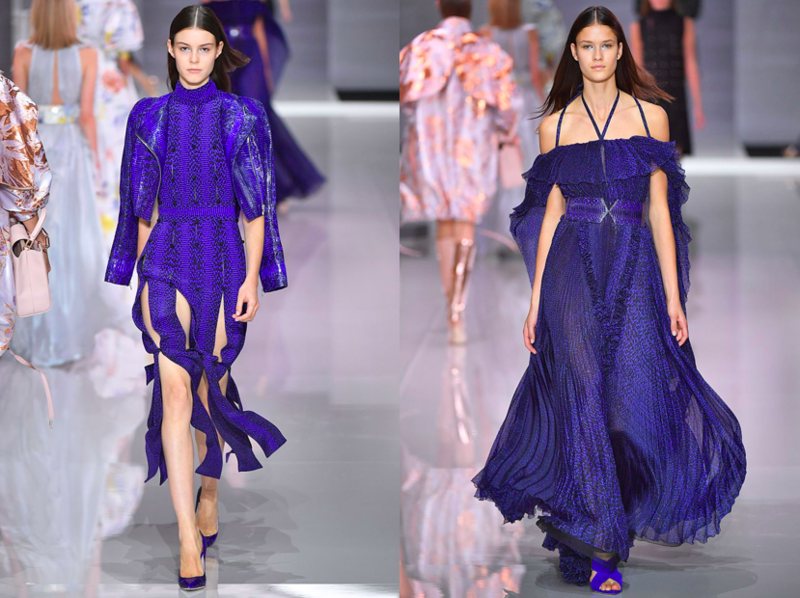 The collection was all about expanding the brand DNA with a new offering for the Ralph & Russo Spring Summer 2018 girl. The Prêt-à-Porter collection fuses traditionalism and contemporary artistry, re-interpreting signature styles from the cliche little black dress to the classic tuxedo jacket. Unique techniques in this collection have been found at the forefront of fabric innovation combine the neoclassical undertones with revolutionary compositions, as hints of golden brocade transpose onto jet-black laminated tweed to finish some looks. As strongly expected for Spring, sheer fabrics featured heavily but in the form of magnificent dresses that were made for a light spring breeze making this a perfect Boomerang video for those quick enough to capture. 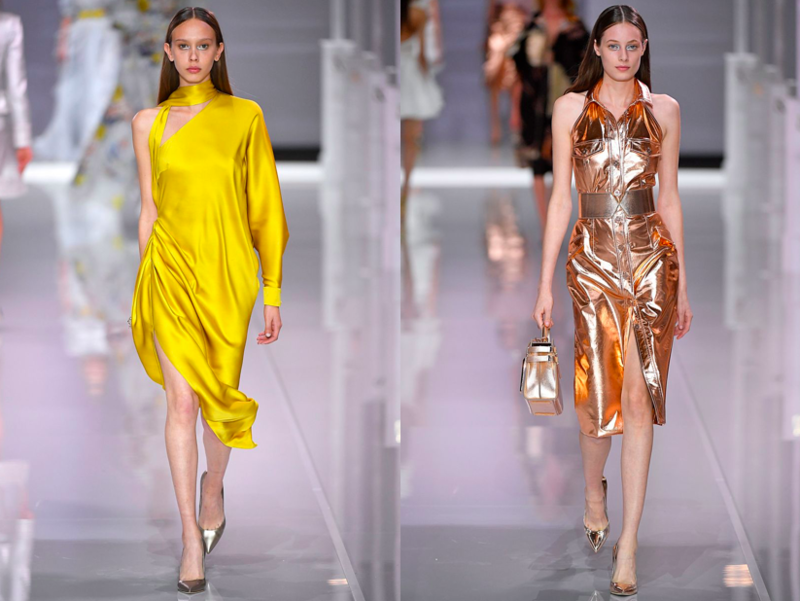 Blue was definitely a feature on the runway in two different shades of icy blues and rich navy in the collection, but the structured rose gold trench coat and high waisted pencil skirt cemented the Spring 2018 trend for metallics. Crest-emblazoned buttons adorn utilitarian jackets, whilst waist-cinching structures accentuate feminine silhouettes; juxtaposed with oversized outerwear as the denim jacket is reimagined in double sided silk scuba. Interspersed with crisp whites, the collection highlights flashes of red, electric metallic blues, and blush florals offset with icy silver embellishments. The Prêt-à-Porter colour palette caters to the modern woman across every aspect of her life and as Vogue.com’s Luke Leich said, London should breathe a sigh of relief to have this label but my real question is, how long will it last on-schedule? This entry was posted in London, Trend Reports and tagged LFW, london fashion week, Ralph & Russo, Spring 2018. Bookmark the permalink.